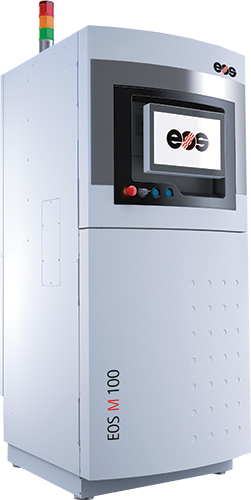 EOS has introduced the EOS M 100 direct metal laser sintering machine, with a smaller build size (100-mm dia.) than its popular EOS M 290 metal system. The M 100 focuses on the cost-efficient production of small quantities, according to company chief marketing officer Dr. Adrian Keppler. 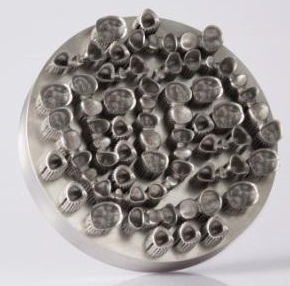 For example, the system can produce approximately 70 dental crowns and bridges in 3 hr. "Initially, the EOS M 100 can process two types of materials, EOS CobaltChrome SP2 (CE-certified, CE 0537) and EOS StainlessSteel 316L,” adds Keppler, “depending on the specific application. EOS Titanium Ti64 remains in the development stage, and will be the next material to be made available for this system." The EOS M 100 features a 200-W fiber laser, and peripheral equipment designed to minimize powder contact, say EOS officials. See also: EOS of North America, Inc.